For a player with six Premier League minutes to his name, Aston Villa's Jack Grealish has a growing reputation. At just 18 years old, it may be going too far to declare him as "the next big thing," but there is definitely a growing anticipation and urgency from Villa and Republic of Ireland fans alike to see their man get more first-team action. At a time when things can't get much worse for the Villa faithful—consecutive relegation battles, average squad, club up for sale, uncertainty around the manager, lack of transfer funds, behind-the-scenes unrest—the young playmaker is one of the few shining lights coming out of Villa Park. In fact, the young winger is being touted as one of the most exciting prospects to come out of Villa's famed youth academy. Not a bad compliment for a youth system that has produced international players including Gabby Agbonlahor, Andi Weimann, Gary Cahill, Darius Vassell, Steven Davis and Thomas Hitzlsperger in recent years. Grealish also represents an exciting talent for the Republic of Ireland. In a period where there are concerns about the quality coming through the ranks and some of the elder statesmen not too far away from retirement, Grealish is arguably the poster boy for the future generation of Irish players. So, just who is Jack Grealish, and why is he creating such a buzz? 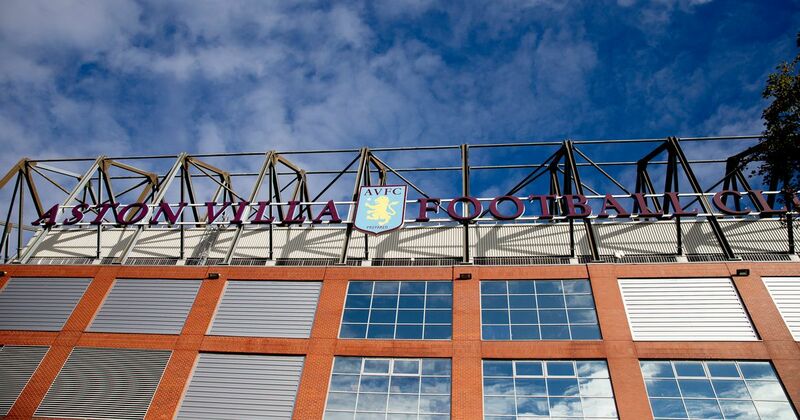 Grealish was born in Solihull, Birmingham, to a family with strong Irish heritage. A boyhood Aston Villa fan and relative of former player William "Billy" Garraty, Jack has been a season-ticket holder in the Trinity Road Stand since the age of four. As a kid, Grealish turned out for Shirley Town Under-8s and soon started attracting the attention of scouts from clubs including Manchester United, Crewe Alexandra, Walsall and Birmingham City. However, a love for the Claret and Blue saw Grealish decide to join the academy set-up of his beloved Aston Villa as a six-year-old. Since then, Grealish has worked his way up through the ranks—often playing above his age group—both for Villa and for Ireland. Despite his young age, Grealish has already picked up honours at both club and individual level. He was named Ireland's Under-17 International Player of the Year for 2012 after scoring three goals in six appearances to help the men in green make it to the Under-17 European Championship. Grealish also played a key role in helping Aston Villa in the 2012/13 NextGen Series, featuring in all but one of the games. Villa claimed victories over Celtic, PSV, Sporting Lisbon, Ajax Olympiakos and Chelsea in the final, which culminated in lifting the equivalent of the Champions League for under-19s. In addition, Grealish has tasted victory at the Hong Kong Soccer Sevens tournament, winning the Cup Final in 2012 and Shield Final in both 2013 and 2014. The most recent tournament—which finished last weekend—saw Grealish finish with six goals and put in some impressive performances for the "Young Lions." Grealish is a left-winger, but he is also capable of playing on the right or behind the strikers in an attacking midfield role. In the same way that Adam Lallana has been called "un-English," the same description could be used for the Brummie-born youngster. Once you get beyond the impeccably coiffured quiff, he is technically sound, intelligent, comfortable on the ball and exudes a laid-back confidence with the ball at his feet. The 18-year-old's decision-making skills appear to be beyond his years; rather than rush to get rid of the ball, as we see with so many English players, Grealish prefers to hold on to it until the right opportunity opens up to either take on a man, pass or shoot. The highly rated youngster is not afraid to take on a player, something which he often does to huge success as he glides by players with his close control and dribbling ability. Grealish is not a typical winger in regard to having great pace or acceleration, but this is made up for with his skills and trickery. Importantly for an attacking player, Grealish is more than adept at creating opportunities for teammates as well as finishing chances himself. 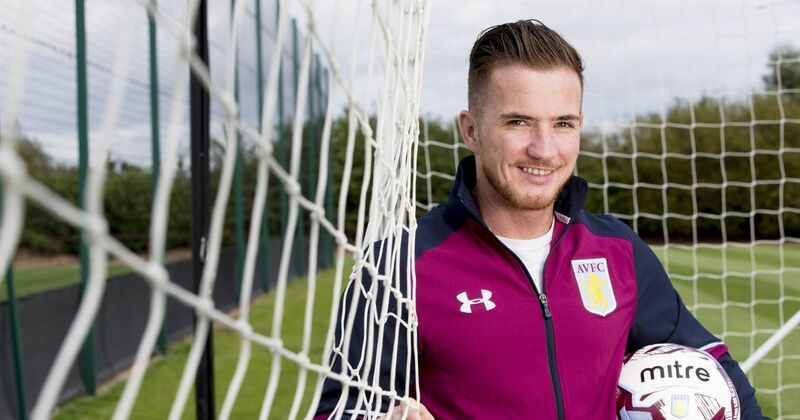 He also possesses creativity and flair, which means he can create something out of nothing—a quality much required in the Aston Villa and Irish set-up. It is also refreshing to see the 18-year-old display the exuberance that comes with a player who clearly loves the game. Whether it is the smile upon his face or Totti-esque low socks, Grealish has a boyish charm that makes you take to him as soon as you see him play. Grealish was sent out on loan to Notts County at the start of the 2013/14 campaign. During his time there, the winger became a key member of the squad that helped the Magpies retain their League One status. In a season of difficulty which saw Notts County lose 26 games—the joint highest in the division—and avoid relegation by just five points, the Brummie-born attacker scored five goals and provided seven assists in 32 starts and five substitute appearances, according to Transfermarkt. This included a stunning effort against Gillingham in which he picked up the ball outside of the area, drifted by five players and unleashed an unstoppable right-footed drive into the top of the net. This was Grealish's first senior goal and one that saw him run to the stands to joyfully celebrate with his dad. Such a huge amount of responsibility have been put on Jack and Callum in particular. If I’m looking at Jack and Callum, what an education for them—what a year they’ve had. It will lead them into a direction where I’m sure they’ll be playing at the top of their level. They’re fantastic people and they’re great lads to have play for me and as players I think they’re brilliant. While Grealish told the Express & Star how valuable the experience had been with the League One outfit: "It’s been a really useful season for me getting to play first-team football and it’s made me hungrier for more. I had to grow up a lot at Notts County and playing in the League One relegation battle is much different to playing academy football." Perhaps one of the telling signs of Grealish's potential was the unexpected call-up to the Villa first team in 2012. At the age of 16, the winger was named on the bench for the 4-2 Premier League defeat against Chelsea. Although he didn't feature, the memory of that day has spurred on his desire to be further involved in the Villa first team. I've only been involved with the first team at Villa for one game which was against Chelsea and that was crazy. I was speechless. It was one of the best feelings I've ever had. I managed to get hold of Frank Lampard's shirt and it is in a frame in my house. That was a great day. I'm just hoping next season I can be around the first team. Grealish's dream came true on the penultimate game of this campaign as he was named in the squad for the visit to Manchester City. With 88 minutes gone on the clock, Paul Lambert replaced Ryan Bertrand with Grealish to give him his first-team debut. With just two minutes of normal time and four minutes of injury time to impress in, Grealish completed 100 percent of his five passes, with one of these being a key pass. Not a bad return against the Champions. Grealish has featured for the Republic of Ireland from the age of 14, which has seen him pick up caps from under-15 through to under-21 level. The starlets strong performances for the under-17 team—in which he scored three goals in six appearances—saw the youngster called up to the under-21 squad despite having not playing at under-19 level. Jack has since appeared in five games for the under-21 side, scoring his only goal in the 5-2 win over the Faroe Islands. He’s a very exciting player and reminds me a bit of Robbie Brady when he started with our U21s and was running the show.He made his debut for us in August at only 17. Now, after getting plenty of international and club games under his belt, he’s even stronger. Without putting too much pressure on him to develop year on year, by the time he is 21, you could have a very good talent. While O'Neill recently told the Irish Independent, via Goal, that Grealish has "definitely got ability," although he remains cautions about bringing him into the full international set-up just yet. So, what does the future hold for Grealish? Expect him to be involved in the full Republic of Ireland squad sometime soon. Not only is he the future for the national side, but there could be a danger of England stealing him for their own devices should he not get a full Irish cap in the near future. 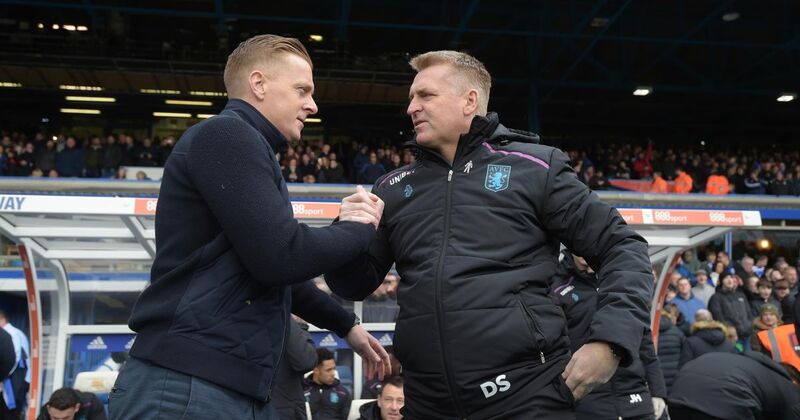 From a club perspective, similar to last pre-season, he is likely to play a part in Villa's summer preparations with the chance to show the manager what he can do in confirmed friendlies against Mansfield, FC Dallas, Houston Dynamo, Chesterfield, Groningen and Walsall. Many fans are expecting the young starlet to be more involved in the first team next season too, particularly with the recent release of Marc Albrighton freeing up some space. However, the sensible approach would be for the youngster to make a loan move to a championship club in order to continue his development and get more first-team appearances under his belt. I’ve said all along that all I can do is to perform to my best and keep working hard to improve and hope that I do enough to impress the manager. Villa is my club, I’ve been brought up with Villa in my blood, so the aim is obviously to kick on and play as regularly as possible. When you have joined Villa as a young kid and worked so hard to come through the academy then it all feels worthwhile to play for the first team. And when you get that feeling you just want it more and more. It’s so exciting to be within touching distance, but we know the hard work has only just started. When I get back it’s up to me to train well and prove that I deserve to be with the first team in the week and on matchdays. You may not have heard the name Jack Grealish before, but keep your eyes pealed as he'll be a household name in the very near future.